Description: This free webinar will focus on the application of cutting-edge research on integrating and applying the evidence-based practice of screening and brief intervention (SBI) for alcohol and other drugs within primary health and mental health care settings serving college student populations. Challenges associated with SBI implementation and program sustainability in the clinical setting will be addressed. Participants will learn innovative and creative strategies for making SBI more relevant and responsive to a range of diverse college student target populations identified in the literature as being at risk for alcohol and other drug abuse. Understand how SBI for alcohol and other drug use might be replicated and sustained within a wide range of college and university-based service delivery settings and off-campus settings serving college students. Presenter: M. Dolores Cimini, PhD, is a New York State licensed psychologist. She earned her BA degree in Psychology with Honors and Phi Beta Kappa from Barnard College, Columbia University and her PhD degree in Psychology from the State University of New York at Albany. Dr. Cimini serves as the Assistant Director for Prevention and Program Evaluation at the University at Albany Counseling Center. She is also the Director of the University’s Middle Earth Peer Assistance Program, a student-staffed and professionally supervised service agency recognized as a model program in the area of alcohol and other drug abuse prevention by both the U.S. Department of Education and the Center for Substance Abuse Prevention, U.S. Department of Health and Human Services. Dr. Cimini delivers clinical services in the Counseling Center and is an Adjunct Clinical Professor in the School of Education, overseeing eight courses in prevention and health promotion and peer counseling and supervision. 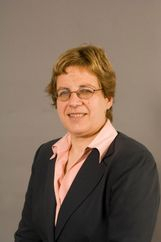 She has coordinated campus-wide alcohol and other drug abuse prevention and treatment efforts at the University at Albany for the past twenty-three years, and she staffs the University’s President's Advisory Council on the Prevention of High-risk Drinking, Other Drug Abuse, HIV, and Related Risk Behaviors. Recognizing the importance of linking science and practice in her work, Dr. Cimini has provided leadership on over $6 million in award-winning Federal, State, and private grant-supported projects at the University at Albany, including the NIAAA Rapid Response to College Drinking Problems Grant, the SAMHSA Center for Substance Abuse Treatment Targeted Capacity Expansion Grant for Screening and Brief Intervention, and two SAMHSA Center for Mental Health Services Garrett Lee Smith Campus Suicide Prevention Grants. She has also served as Project Director for two U.S. Department of Education Alcohol and Drug Prevention Model Program Grants and two high-risk drinking prevention grants. In October 2010, she was awarded a five-year Mentored-Patient-Oriented Career Development Grant (K23) from NIAAA to evaluate further the efficacy of alcohol screening and brief intervention delivered in campus-based primary health care settings. The screening and brief intervention program developed by Dr. Cimini, the STEPS Program, has earned nine national awards for best practices in behavioral health care and is listed in SAMHSA’s National Registry of Evidence-based Programs and Practices. Dr. Cimini was also the project director for a SAMHSA Center for Substance Abuse Prevention Service to Science subcontract at the University at Albany.